There are some hilarious videos on Youtube which capture people trying to do physical training in weird and wonderful ways. These videos are often entitled “Gym Fail” videos. My favourite is the bloke on the cable pulley machine doing powered jumps using the falling weight stack to catapult himself into the air. He really looks like he is enjoying himself immensely. While I agree that most of these videos showcase people who are ignorant of gym etiquette or physical training theory, it does lead to some interesting questions: Who decides when someone is performing an exercise incorrectly and why are we so quick to judge people who do unconventional forms of physical training? Of course, these questions are of personal interest to me and to a lot of other people who do in fact practice more unorthodox or unconventional forms of training, at least when compared to most conventional Western physical training. Traditional Wushu and other forms of martial arts with long histories that stretch over hundreds or thousands of years often contain training methods which could become the kernel of a Gym Fail video today. And yet these training methods evolved at times when they had to deliver effective outcomes or the practitioner may have ended up paying with their life. Would ineffective training methods be retained under these conditions? It is possible, but unlikely. Ineffective martial artists and systems tended to be weeded out by the process of natural selection. So the training methods worked, and yet they do not always fit into the framework of conventional training wisdom. Did they understand more in the past when these old training methods were developed? Surely we know more now about how to effectively train someone physically? Surely! Because of SCIENCE! Well, perhaps we don’t. As a specific example which illustrates my point, the need for deadly hand-to-hand combat training is almost non-existent today when compared to a few hundred years ago. Without the need for developing something, that thing will not be developed. The military is one of the few organisations which still develops deadly forms of combat but we find that most military combat training today, barring a few exceptions, revolves almost entirely around the use of firearms and other ranged weapon systems. So if militaries are not investing in developing or teaching deadly hand-to-hand combat, who is? Well… not too many it turns out. Most hand-to-hand combat practised today is practised for sport. Hence the outcomes of modern physical training for hand-to-hand combat will naturally evolve to suit the context of its use. Primarily sports. Think about it… Would you feel supremely confident about using a sports-based system of combat training within a deadly situation? If you’re a thinker, you will certainly have doubts about its effectiveness within a context for which it was not designed. And rightfully so. Note that I am not saying that a sports-based system used within the context of a deadly encounter will not work. A lounge sofa can theoretically be used as a deadly weapon, it’s just not terribly efficient because it was not designed to be a deadly weapon. I personally do not like the idea of running around a battlefield wielding a lounge sofa, so if I wanted to prepare for a deadly situation, the best combat systems for me to study would be those which were designed to be used in deadly situations. In this day and age, these systems are limited to modern self-defence systems and traditional martial arts systems. In my experience, I have noted that although proper credit is not often given, most modern self-defence systems borrow heavily from traditional martial arts in terms of their fighting techniques. The field of Sports Science is not even at a stage where it can claim to have completely and definitively described the most efficient ways to train the human body for specific conventional sporting outcomes. Let alone less conventional, less mainstream outcomes such as deadly combat. That’s why there is an incredible amount of research still being conducted within Sports Science and new and interesting facts and theories are arising all the time. Despite this, some practitioners of conventional training feel confident enough to mock or scorn those who use less conventional methods. This is just foolishness. I probably did not use the right term to describe the motivation of those who are quick to mock and criticise. It is not confidence at all but entirely the opposite. They are in fact merely voicing their own insecurities. While tripping over their feet in their haste to protect their fragile egos and prove that others are ‘wrong’ and they are ‘right’, they are also inadvertently demonstrating as much ignorance as the bloke in the Gym Fail video using the cable pulley machine to do powered jumps. A witty quote which is often accredited to Einstein goes something like this: “Insanity is doing the same thing over and over again and expecting a different result.” Einstein is unlikely to be the author of the quote but it is a good quote and applicable in this case. The message of my article in a nutshell is: Conventional training leads to conventional results. If you are trying to achieve unconventional results and unconventional outcomes for use within unconventional contexts, unconventional training methods will be required. Training in exactly the same way as everyone else, at best, will only yield the same results that everyone else has achieved. It’s not rocket-science to figure that out and yet many people do not seem to have thought that far. If all you ever wanted to achieve is exactly what everyone else has achieved, then go for it. By all means. But if you want to achieve something that no one else has achieved, you will have to find a different way of getting there because you are trying to achieve an unconventional result. For those who are looking for something different, I encourage you to train outside of the square but to do so intelligently and safely. Apply the old grey matter to invent a means of achieving your unconventional goal. You will be criticised and mocked for not doing what all the other sheeple are doing but you may very well end up achieving something incredible, while they will not. The 99% will always resent those who challenge their personal comfort zones and offend their delicate sensibilities by doing things differently to them. When we talk about training for self-defence or combat, we often talk about cross-training because of the unpredictable nature of the event that we are training for. Cross-training basically amounts to training in other disciplines to compliment your performance in your chosen discipline. Cross-training assists in this way by exposing athletes to new and varied challenges which may help them break new ground in their chosen discipline and reduce plateauing or stagnation. ​Some typical examples of the application of cross-training includes runners who train with free weights to increase their muscular strength to help with hill-climbing and weightlifters and boxers who train pure cardio to lose weight before an event. 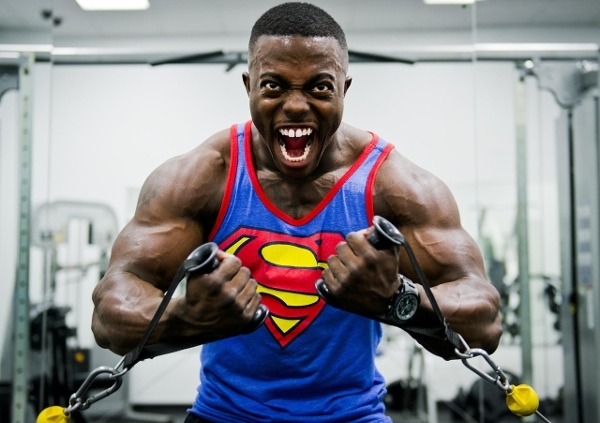 To pre-empt the remainder of my article, I would ask you whether you think that a runner who trains free weights would be able to compete on a professional level in a weightlifting competition or whether a weightlifter would be able to compete professionally in a marathon? Although cross-training is an effective training tool if applied correctly in order to aid in goal acquisition, it is also possibly one of the most misunderstood training approaches and is thus seldom applied correctly. If applied incorrectly and without understanding, it can lead to confusion and inefficiency. We’ve all seen the gym-fail memes showing people using training equipment in a confused and incorrect fashion. These folks are ridiculed a lot but the reality is that they are actually training something. They just may not be training exactly what they want to train. The same warning rings true for cross-training. If applied incorrectly, the athlete will be training something, just not perhaps what they were hoping to train. Consistent, small steps forward towards your goal. This involves the use of small, consistent, progressive steps over a protracted period of time. Simple. If you know exactly what you want to achieve and you follow this formula, you will succeed in achieving your training goals. This is where I start talking about training specificity. The physical training industry is a very confused and confusing place driven by fads, commerce and occasionally by some science. I’ll use the show Ninja Warrior as a case in point to demonstrate the confusion. I had the opportunity to watch a fellow martial artist’s Ninja Warrior application video a little while ago. He was so sincere in his video, it made me really hope that he gets in. I sincerely hope that he wins an opportunity to compete and I take my hat off to him for doing what he wants to do. He’s been in martial arts for a few decades, even practised ninjutsu for a while. He was demonstrating his fighting skills, forms, swinging swords around and doing some of the physical training that he normally does in classes. His performance was good, but this is where I start to wonder whether people actually understand that the Ninja Warrior show has nothing to do with Ninjas, Warriors or martial arts in general. Except perhaps the non-combative martial art known as Parkour. The show Ninja Warrior revolves around contestants completing a timed obstacle course. Fighting skill has nothing to do with the show Ninja Warrior. So we can cross the word ‘Warrior’ out for starters. The word ‘warrior’ has been seriously abused in our current day and age to the extent where its very definition has changed. Everyone and their dog adopts it to describe themselves, but historically it was used specifically to describe someone who engages in warfare. A soldier. If you have not fought in an actual war, I do not believe that you should be calling yourself a warrior. All we are left with then is the word ‘Ninja’, which describes the historical Shinobi, who were trained in the arts of espionage. Yes, that’s right, not assassination or combat. Although those activities might on occasion be performed by a Ninja, they were not the Ninja’s forte. A Ninja was first and foremost a spy. I know! I know! I grew up loving Ninjas too. In fact, it was the old Ninja movies of the 70s and 80s that got me interested in Eastern Martial Arts in the first place. I have some very good friends who are high-level practitioners of Ninjutsu and I have always had a lot of respect for the system. 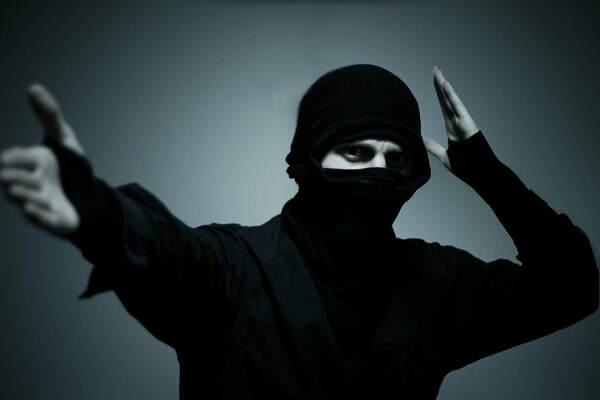 In particular, the elements of Ninjutsu that exemplify the true historical aspects of the Ninja and showcase their use of subterfuge, distraction and obfuscation. Who doesn’t love the idea of the black-clad, tabi boot toe wiggling, Ninjato-wielding, Ninjutsu-fighting, shuriken-chucking, evasive smoke-bomb-deploying, out-of-sync talking, flick-flack jumping, poison dart-launching Ninja Warrior? What we were sold by Hollywood is actually just a modern fiction. Go and do your research and you will see that it’s true. Historical Ninjas just weren’t what we were led to believe that they were. Historical Ninja training revolved predominantly around espionage and concealment, not combat. The contestants on the show Ninja Warrior are not demonstrating the arts of espionage, so we are left without any words to describe the show. In the vacuum caused by a logical collapse of the show’s title, I’ll call it “Obstacle Course Fun Show” or OCFS instead. This should help to alleviate any further confusion. I really admire the level of skill that is demonstrated by the high-level competitors on the OCFS. Their performances certainly represent incredible skill, physical competence and a huge investment of time and effort. I have a lot of respect for this. As far as I’m concerned personally, however, I am not particularly interested in the show itself because completing obstacle courses is not my training goal. Training martial arts for self-defence is. If I personally were to train seriously to compete in the OCFS, I would have to change perhaps 80%-90% of my training program because it is irrelevant to completing obstacle courses. All those hours and hours of punching and kicking bags would be a waste of time. Along with form-work, sparring, ground work, attack and defence technique refinement, ChiGung, meditation etc. In order to compete at a reasonable level in OCFS, I would concentrate on a combination of Parkour training, rock-climbing, Yoga, gymnastics and specific obstacle course training informed by the obstacles expected on the course itself. I’ve actually had a couple of people ask whether I wouldn’t be interested in competing in the show and my answer is that I enjoy training for self-defence and combat, not to complete obstacles. That’s not to say that I don’t train strength, agility, movement, speed, accuracy and even do some obstacle course training as well, but the specific goal, or focus, of my training is and always will be combat for self-defence. I am not ashamed to admit that I would not perform particularly well in the OCFS because I have not made this my training focus, or goal. Sure, I would doubtlessly do significantly better than an average person with no physical training background, but relative to trained Parkour practitioners, gymnasts and rock-climbers, I would be below par. In fact, my performance would be as sub-standard compared to theirs in OCFS, relatively speaking, as theirs would be compared to mine in a self-defence combat situation. All because of training focus. This is the truth about training specificity. There are certainly cross-training benefits that come from participating in a particular training program that can positively impact your performance in other disciplines, but when compared to specialists competing in these other disciplines, your performance will never match theirs. The notion of the all-star physical performer is as much a product of Hollywood fantasy as that other popular 80’s blockbuster trope, the high school science teacher who just happens to be able to diffuse a nuclear warhead in the nick of time to save the day because, “he knows science stuff!”.